Evidence-based questions that will help identify your organization’s specific areas of need (gaps, silos, missing pieces of the puzzle, etc.) so that your organization’s or community’s decision makers will have an unbiased and objective review to help lead the way in creating an environment of Proactive Prevention. Questions are based on the 6 Stages of Preventing, a proven outline used by many organizations and communities to stop incidents and tragedies before they happen! A full review of your organization’s or community’s responses by a team of Prevention Specialists and Leaders to assess what the answers really mean for your organization or community. A complimentary real-time analysis review with a top Risk Management and Prevention Specialist to review and explain the findings with your team to ensure you’re informed and ready to begin PREVENTING. Request your own Gap Analysis ($597 value) today and you can get the preventing ball rolling for FREE! How? Enter your special redemption code in the form below to see what discount you qualify for! Don’t have a code? Attend a conference or webinar to receive your special redemption code or request more information today! Don’t wait for a costly lesson learned, take action now and make 2018 the year you start preventing incidents with your team of First Preventers rather than hoping for the best and putting your First Responders in horrible, dangerous, and tragic situations! The Gap Analysis was authored by Rick Shaw, Awareity’s Founder & Connecting the Dots Officer who is a recognized risk management and prevention specialist, with 30+ years of experience in the fields of safety, security, risk mitigation and threat assessment. Mr. Shaw and others at Awareity have invested thousands of hours of extensive research into post-incident review panel reports and tragic lessons learned, and Mr. Shaw identified many of the common gaps and dangerous disconnects that have led to prevention failures. 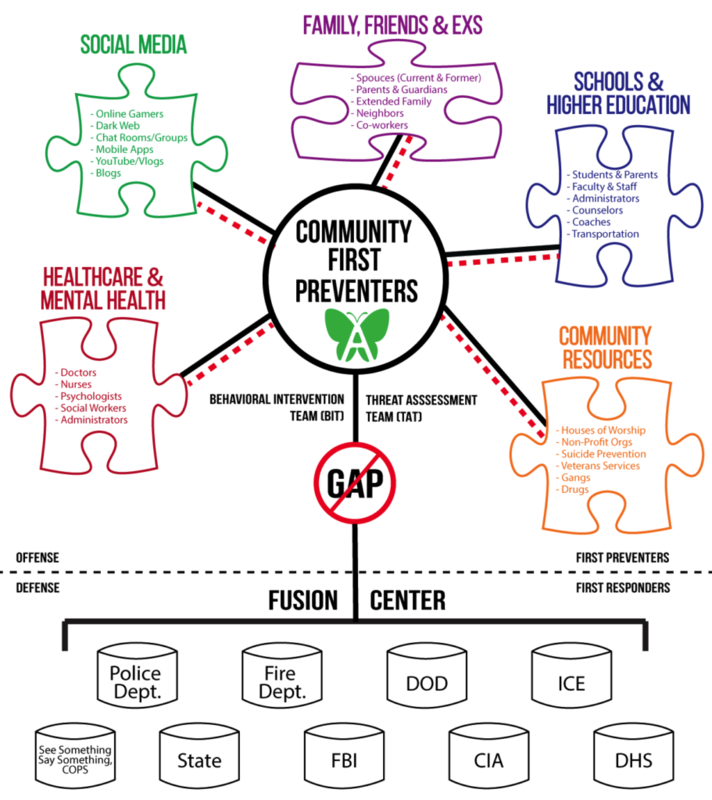 From this extensive research the Gap Analysis was created to help other organizations and communities become safer.